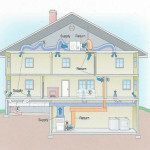 Home » All Posts » Can Closing HVAC Vents in Unused Rooms Help You Reduce Energy Bills? Can Closing HVAC Vents in Unused Rooms Help You Reduce Energy Bills? 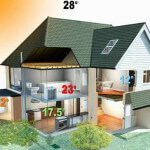 Air conditioning and heating costs account for half of the energy usage in an average home. Closing HVAC vents in unused rooms is considered a good way to save money, but this may not be the case. Your HVAC’s blower is responsible for air distribution, using return ducts to pull air in and supply ducts to push it back into your home. Most systems use PSCs (permanent split capacitor) that cannot adjust speed, while high-efficiency systems use ECMs (electronically commutated motors) that are variable. Ideally, both kinds of HVAC blowers are designed to push against a maximum pressure difference of 0.5 iwc (inches of water column), with low duct leakage. In most homes, the static pressure is 0.8 instead. When vents are closed, the duct system gets restrictive, which increases the pressure even further (as do dirty filters). To maintain proper air flow, ECM blowers work harder, which reduces efficiency and increases energy consumption. PSC motors continue working, but at lower speeds, which reduces air flow. 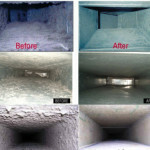 Higher pressure also results in more duct leakage, since most houses do not have sealed ducts. 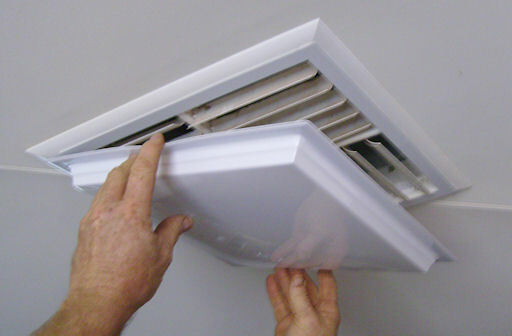 As you close more vents, pressure and the leakage of air increase proportionately. 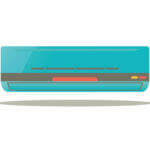 The heat exchanger or coil in your comfort system cools or heats the air flowing through your home. Most HVACs are fixed-capacity types, so the heat exchanger can only absorb or give up a certain amount of heat, and lower air flow affects its ability to handle the heating & cooling distribution effectively. This can also cause water vapor to condense and freeze on the coil in summer, which affects air flow even further. It can also cause the coil to overheat or crack (which may let carbon monoxide escape into the air), increase refrigerant pressure and damage the compressor as well by causing refrigerant leaks. In winter, the lower surface temperatures in rooms with closed vents can lead to condensation and mold growth, affecting the indoor air quality in your home. Technology is evolving in wonderful ways, and there’s a lot to be said in favor of apps that let you control your smart thermostat from anywhere. For instance, you can then turn your HVAC on when you leave the office, so you aren’t wasting energy but your home is still comfortable by the time you return. However, not every app claiming to improve HVAC efficiency is actually going to work. Some apps monitor temperatures to control vents in your HVAC, but whether you do it at a distance or from your own home, closing the vents could lead to more problems than solutions. Could Closing Vents Help At All? When you close vents in an HVAC, this only changes the air flow in certain locations, not how the blower and heat exchanger function. Closing one or two vents is fine if you have very low duct leakage and no restrictive ducts, but with most systems, even one closed vent can cause a range of comfort, performance and health & safety problems. The bottom line is that closing vents only works in properly designed zoned duct systems, which use multi-stage systems with variable speed ECM blowers. These systems cause blowers and ACs, heat pumps and furnaces to reduce their output when a vent is closed, rather than improving cooling or heating efficiency. If you have a standard HVAC setup or are unsure of whether your system is equipped to handle these changes, get in touch with an experienced service provider. At Service Champions, we are fully equipped to handle all your air conditioning, heating and ventilation needs. Contact us to learn how the right setup can reduce your bills!